Your iPhone is such an accessory which you always want to keep with you. No matter in which sensitive situation you are, you must always carry it with you. Sometimes, some unfortunate stances can bring harm to your iPhone like if you accidentally drop it in pool water or you may have to travel in rain and while not getting the chance to protect it. The main loss which may occur when you have damaged your iPhone with water is data loss. You may have lost your data which you wanted to keep forever like some contacts, text messages, pictures, videos and other important documents. But do not worry; here is the complete guide by which you can find all possible ways to restore your lost iPhone data. First of all, let us guide to about the five immediate things which you should do if your iPhone gets wet. Unplug all cables and switch off the cell. When your iPhone gets wet, firstly you must unplug all the cables including charger. You should even think to plug in it or charge it unless it gets completely dried. If you charge your phone or plug in any other wire, this can bring the most harm to your iPhone. That is why you should let it dry for at least five hours before plugging it in. Moreover, if your iPhone is still switched on after getting wet, you must make sure to turn it off. Doing so will restrain the liquid to damage the internal hardware components. If your phone gets wet, you must wipe all water from its surface and corners after switching it off. Wipe off the water with a soft cloth like a lens cloth. You should not open its SIM tray until you wipe off all liquid. After you wipe off the outside of your iPhone, you should leave your iPhone to dry in a place which has good airflow. This also indicates that you should not use artificial ways to speed up the process of drying like using a hairdryer. However, you can place your iPhone with the lightning port while directed towards a cooling fan. This will be fine to do. The Internet is full of such baseless tips like keeping your iPhone in a sack of rice will help dry it. Yes, it can to some extent but placing your iPhone in a bag of rice can bring more other harm than speeding up the process of drying. The grains can damage port and make it unusable for the future which no one wants. Lastly, you should stay patient and leave your iPhone to get dry for at least five hours. Please do not be impatient and try to switch on your iPhone before the recommended time limit. In this way, you can save any of your iPhone X/XS/XR from getting more internal harm due to the liquid. Now come to the real matter of restoring all data. 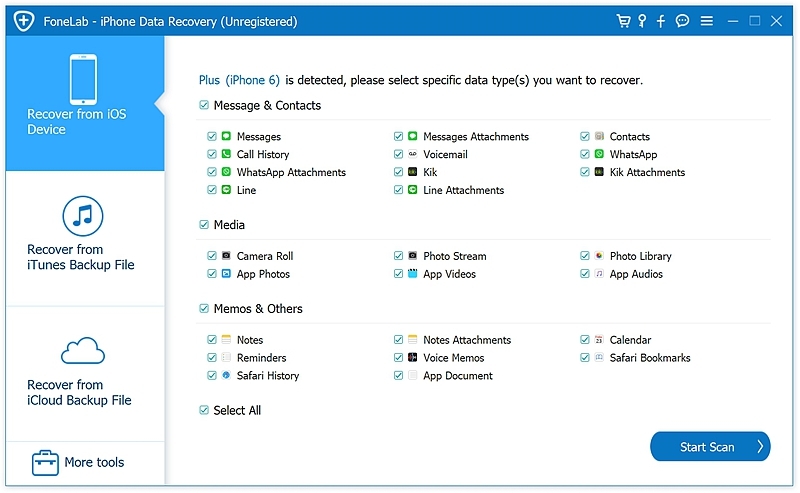 To recover all of the phone data contacts messages photos videos files WhatsApp Facebook chat history that has been lost because of water, you will require a data recovery program. While there are many existing ways that you can pick for this purpose, but if you want to make the process easy, you should take the following one. 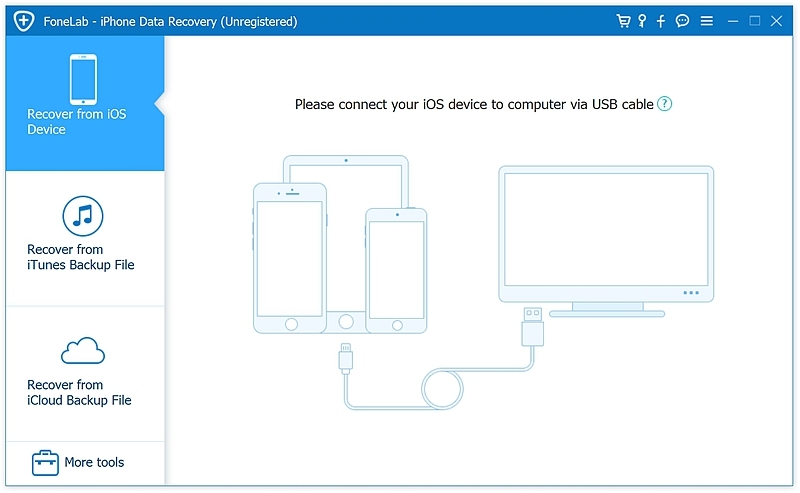 ‘iPhone Data Recovery‘ toolkit is best for you. From its tool kit, you can access any lost file and download it to your PC. It is compatible with all iOS operating systems. The excellent benefit of this method is, you can restore all lost files even without having any backup data. You can utilize this restore mode if any of your iPhone X/XS/XR or iPhone 8/7/6/5 has not been totally harmed and your PC is recognizing it. Here’s the way by which you can do it. Connect the iPhone to the PC utilizing USB links. Click on “Start” when the PC recognize your device. Step 2: In the following window, you will discover a wide range of data files like photographs, messages, contacts and so on. Select the needed data. Step 3: Once the output is finished. 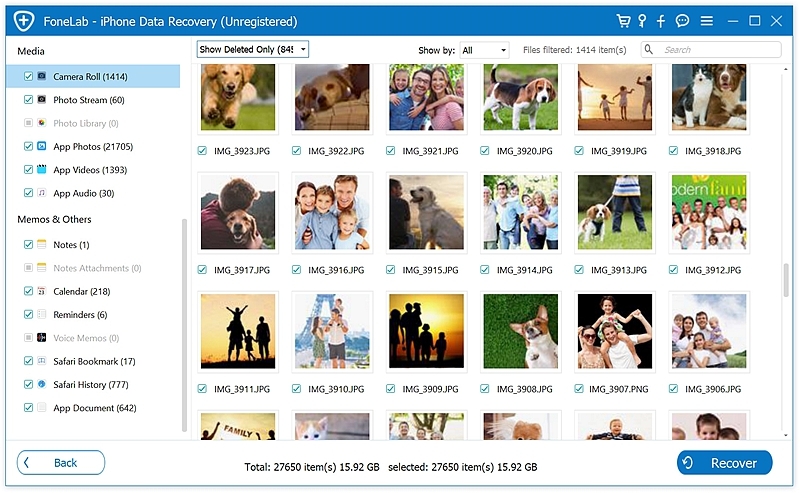 See the photographs or other data files and after that select the ones you need to recover. Tap “Recover” to have them. 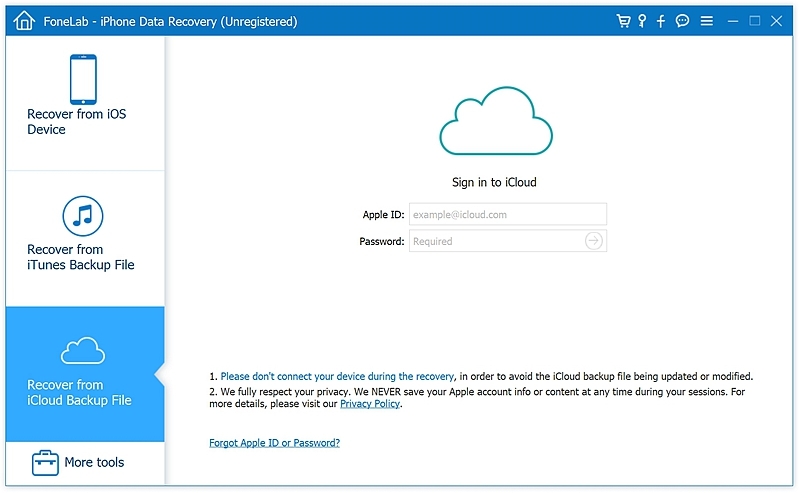 If you need to view the content and recover all your lost data from an iCloud backup record( if you have backed up all) take these necessary steps to recover them using the ‘iPhone Data Recovery’ tool. 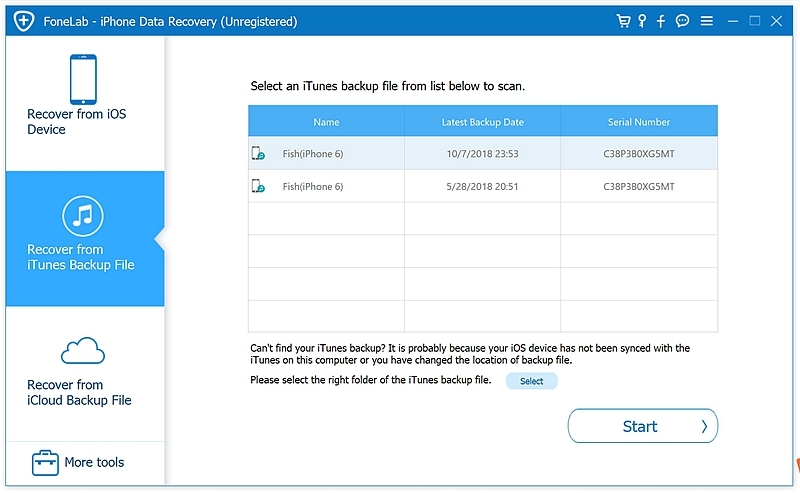 Step 1: Choose “Recover from iCloud Backup” from the main window. Step 2: Sign in to your iCloud record to enable the program to get to the iCloud backup documents for you. This method is only workable if you have backup files in iCloud. There is only 5GB free space for iCloud sync and backup, and sometimes your iPhone might not be backed up to iCloud because there is not enough iCloud storage available. Restoring Data from iTunes Backup files. Pick this recovering mode if you have all your data backed up in your iTunes. Step 1: From the main window, select “Recover from iTunes Backup”. Step 3: Restore those files in PC by tapping “Recover. 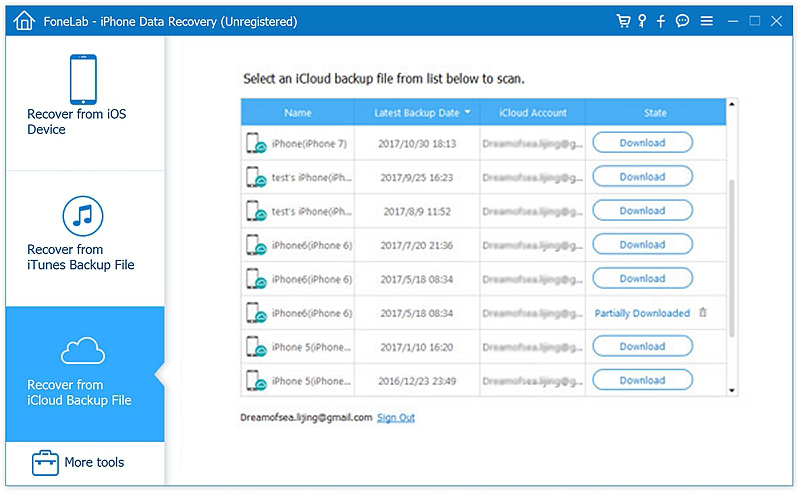 This method is used to restore all lost files while getting online access to iCloud. Follow these simple steps to access this procedure of restoring. Step 1: Log in to iCloud.com by entering your iCloud account username and password. Make sure its the same account that you use on your iPhone. 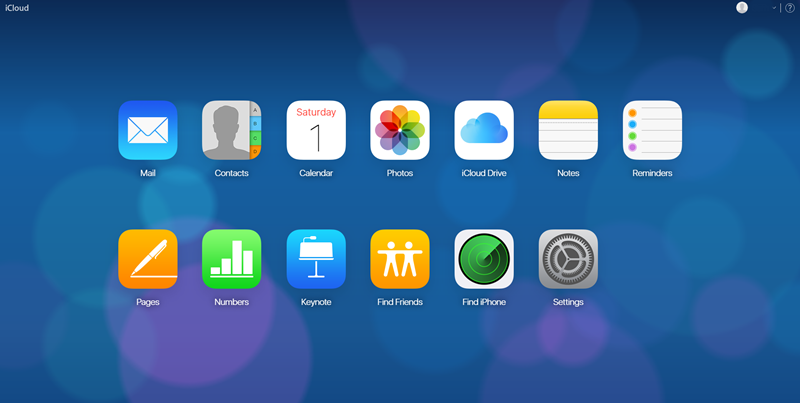 Step 2: After logging in, you will find all iCloud apps which were installed on your iPhone. You can open one by one and use them as on your iPhone, like mail, contacts, WhatsApp, photos, etc. Step 3: Click the “download” button to have the necessary data files downloaded. You can save it into a new folder of your PC. You can use this method when your iPhone is damaged, and your PC is not recognizing the device. Also, keep it in mind that this method is only workable if you have backups in your iPhone.